Transport equipment innovator, Peter Max, and running gear specialist, Fuwa K-Hitch, have teamed up to create Australia’s largest ever Performance-Based Standards-approved LPG tanker. 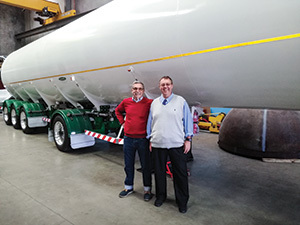 In a surprise announcement, Melbourne trailer specialist, Peter Max from Gas Tank Hire, and Fuwa K-Hitch (FHK) have just pulled the wraps off a new tanker design that could permanently change the country’s LPG transport market. 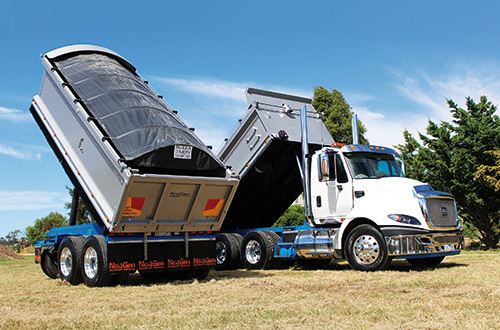 After a lengthy 10-year development process, Peter says the ongoing evolution of the Performance-Based Standards (PBS) scheme and constant lobbying of the National Heavy Vehicle Regulator (NHVR) have finally made the quantum leap possible. While the Australian first is already approved to run at 50.5 tonnes in Victoria, New South Wales and South Australia under the PBS framework, Peter says he is currently working on approvals for the remaining states to ensure free movement nationwide. The LPG tanker is unique for more than its size, Peter adds. Rather than the standard three-axle setup most LPG tankers use, his design adds a fourth axle in the centre of the tanker – which is where FKH’s expertise came into play. Under its ‘belly’, the tanker features a self-steering FKH lift axle, while the front axle of the tri-group is a tapered FKH lift axle. 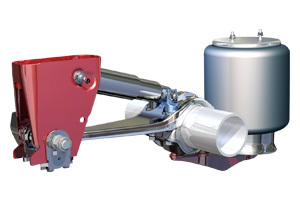 As a result, the unit can run on two axles when empty. 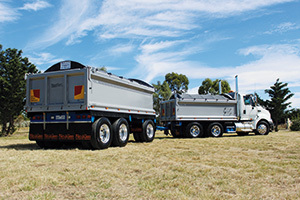 “It is the first trailer in Australia with a centre belly axle, so we knew we needed an experienced running gear expert on board the project,” Peter notes. “The four-axle set up we’ve developed together lowers the unit’s centre of gravity and spreads the load over a greater surface area, which is much more stable and protects the road’s integrity with less weight per tyre on the road – and also increases the unit’s braking ability. 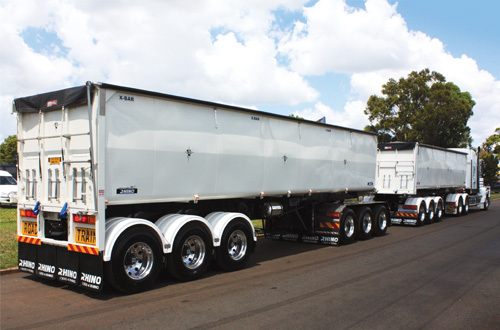 Agrees Chris Barrett of FKH, saying the objective was to provide a stable platform for the trailer whilst still allowing for tare savings to maximise productivity and ensuring compliance to all ADR and PBS requirements. The axle and Weweler Ultra lite suspension welding and assembly process was carried out in the FKH workshop, Chris says, so Gas Tank Hire would receive a complete modular package with little lead-time. “I am very pleased that FKH has the product range, engineering capability and production capacity that allows us to work hand in hand with projects of this significance,” says Chris. 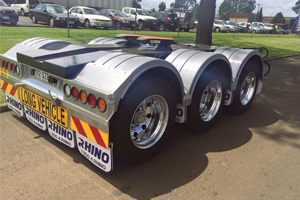 The complicated design took Peter six years to perfect, with another three years just to manufacture the prototype unit at his facility in the western Melbourne suburb of Sunshine. 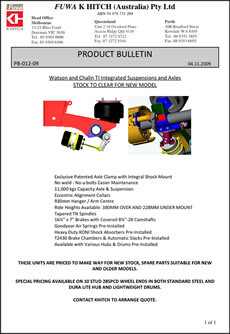 Fast Fact: A FKH kingpin is fitted to suit the 20mm skid plate’s unique mounting, which Melbourne trailer specialist, Peter Max from Safety First, describes as reminiscent of an ice-cream cone. 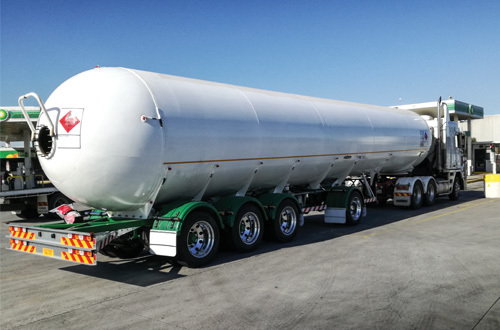 “Any shocks or vibrations the tanker may encounter during transit are dissipated into the side of the barrel, ensuring the longevity of the tanker even on rough roads,” explains Peter. With the eLeg rapidly gaining a global fan base, Melbourne’s Fuwa K-Hitch could hold the key for unlocking the second wave of the Federal Government’s innovation and science agenda. Prime Minister Malcolm Turnbull once again helped the term ‘innovation’ receive buzzword status last month after a cabinet reshuffle saw former Innovation, Industry and Science Minister, Greg Hunt, move to the health portfolio, and Senator Arthur Sinodinos step into the innovation role. Innovation had been the centrepiece of Turnbull’s 2015 campaign, which focused on Australia’s transition to a more balanced and diversified economy, but didn’t quite find traction over the course of 2016 – even though industry had gone into overdrive to make the promised ‘ideas boom’ a reality. With a new Minister now driving the portfolio, the transport equipment industry is once again hoping for the focus to return to high-tech manufacturing and innovative problem solving – an area in which it has traditionally held a leadership role. One company predestined to lead the way in bringing innovation back on the big stage is Melbourne’s Fuwa K-Hitch (FKH). As part of a world-spanning knowledge network created by Chinese manufacturing giant, Fuwa, it has garnered a reputation for being especially agile and connected – an important quality to maximise the innovation potential of Australian-based businesses, as Henri Burges, a Senior Lecturer in Strategy and Innovation at the Queensland University of Technology, explains. 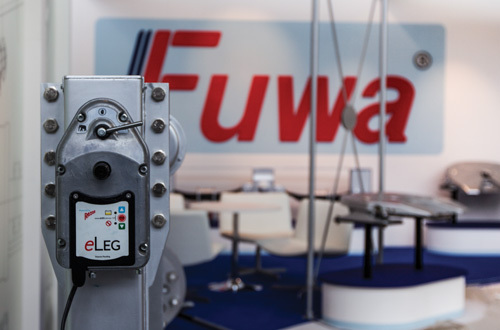 Designed in collaboration with automation specialist Razor International, the eLeg is an integrated electronic landing leg that can be lifted and lowered at the push of a button – effectively creating a whole new sub-segment in the landing leg market. Chris says the eLeg will positively affect driver recruiting, safety and maintenance, as well as aerodynamics and idling time – making it a quintessential equipment innovation for the 2017 season. 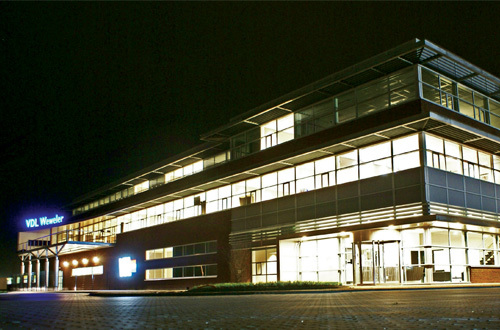 One key take-away from FKH’s success story, he adds, is that even small- and medium-sized businesses like FKH and Razor have the opportunity to reap the benefits of international expansion – even with limited resources – by creating smart networks and finding the right partners to collaborate with. As such, he sees FKH as a prime example for the second wave of the Federal Government’s innovation and science agenda Minister Sinodinos is now tasked with managing. Fast Fact: The eLeg is operated with a push button and a simple high/low range gear lever and is easy to install. Find a detailed installation and operation video online on www.bit.ly/2kh4cdq or google Fuwa TV.